The maker of Kleenex tissues has given in to pressure from some customers who complained that one of its most popular products had a “sexist” name. CBS News received a statement from Kimberly-Clark regarding the “Mansize” tissue box, available only in the United Kingdom. The brand has been available in the region for about 60 years, dating back to a rise in popularity of large cotton handkerchiefs commonly used by men of the era. In today’s culture, however, many critics denounced the label as exclusionary. “Thanks to recent feedback we are now rebranding our Mansize tissues to Kleenex Extra Large,” Kimberly-Clark said in its statement. The company further cited a “consistent increase of complaints on gender concern” as a motivating factor for the change. Do you think it’s offensive to call a product “Mansize”? 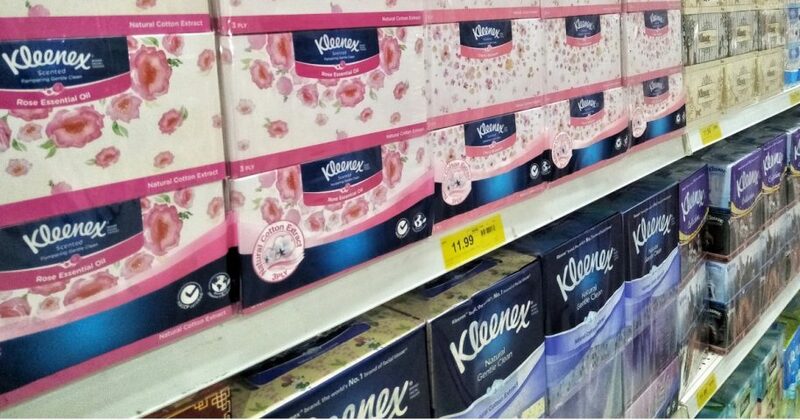 “Nevertheless, as we remain committed to developing the best possible products for our consumers and take any feedback extremely seriously, we decided to renovate our current product and update the product subbrand as Kleenex Extra Large,” the company said. The shift had started to take place before Kimberly-Clark announced it publicly. “Consumers may see the new name on our larger boxes in store already,” the company told CBS News. A corporate Twitter account for Kleenex in the U.K. posted several public replies to social media users who had griped about the branding. Feminist groups praised the decision. “Kleenex’s re-branding matters because throughout marketing and advertising, we use lazy gender stereotypes to sell products and convey messages which reinforce those stereotypes,” Sam Smethers, chief executive of the U.K.’s Fawcett Society, told Sky News. “For example, strength for men and weakness for women, or we find women’s bodies used and objectified. Critics, however, saw it as a ridiculous sign of the times.